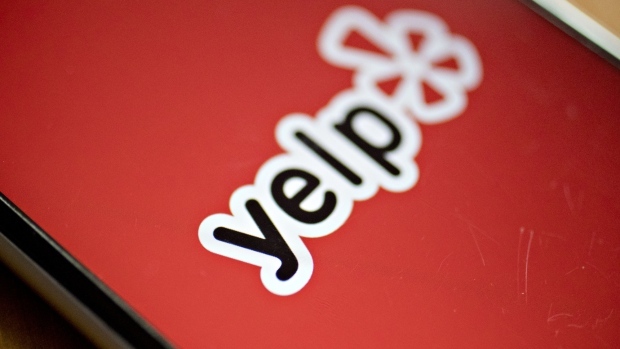 (Bloomberg) -- Yelp Inc. analysts turned highly negative on the user-review website in the wake of its third-quarter results, which fell short of expectations. The company also gave an outlook suggesting growth would continue to slow. A number of firms issued downgrades, including Wedbush, which writes that "the mis-execution in and challenges to the strategy need further examination by management." The cuts, along with reduced targets, are contributing to the stock’s collapse of 31 percent in pre-market trading. Notes that his sell thesis "plays out." Cuts target to $29 from $36, maintains sell rating. Says weakness in paid advertisers was "the key miss” in the quarter, as it was the first time Yelp didn’t grow this metric on a sequential basis. Downgrades stock to neutral from overweight and cuts price target to $36 from $57. "The strategy completely fell apart this quarter” after strong early results of the shift to non-term from annual contracts where net paid advertiser account growth accelerated meaningfully. Downgrades to neutral from outperform and removes from best ideas list. Cuts to market perform from outperform. Lowers price target to $34; according to Bloomberg data, it had been at $42.